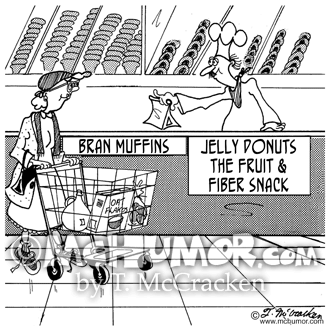 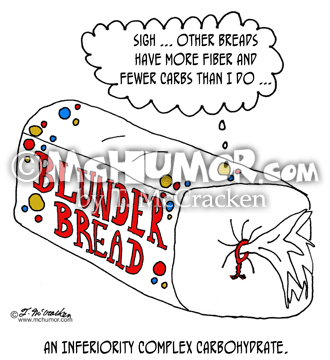 Nutrition Cartoon 5403: "An Inferiority Complex Carbohydrate.” A loaf of Blunder Bread thinking, "Sigh ... other breads have more fiber and fewer carbs than I do ... "
Baking Cartoon 4904: A bakery selling "Bran Muffins" next to "Jelly Donuts, the Fruit and Fiber Snack." 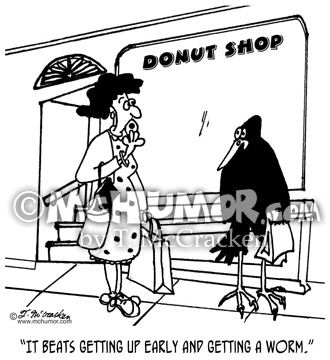 Baking Cartoon 3121: A large bird coming out of a donut shop says to a woman: "Hey, it beats getting up early and getting worms!" 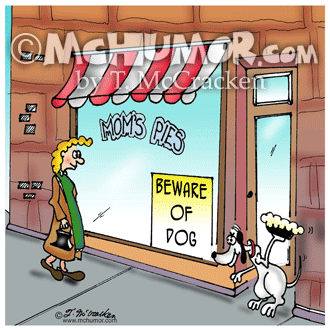 Dog Cartoon 4741: A dog ready to throw a custard pie in front of a bakery with a "Beware of Dog" sign. 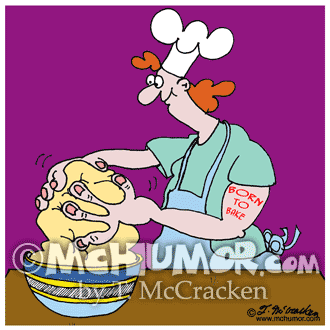 Baking Cartoon 5567: A baker with HUMONGOUS hands kneading dough has a tattoo, "Born to Bake." 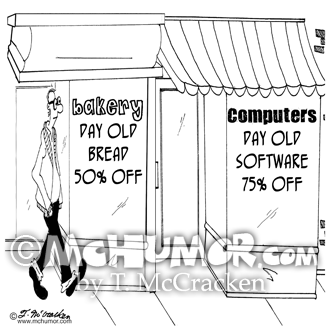 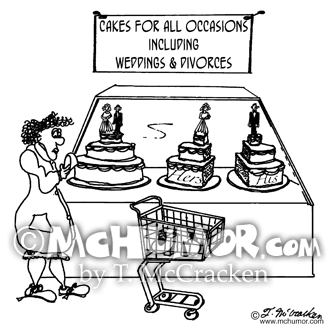 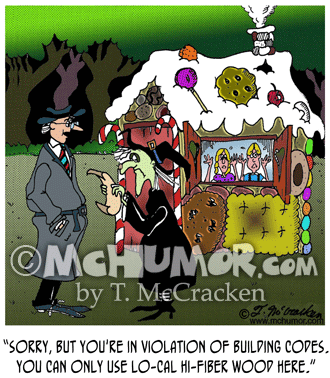 Divorce Cartoon 1606: A bakery selling "Cakes For All Occasions, including Weddings & Divorces." 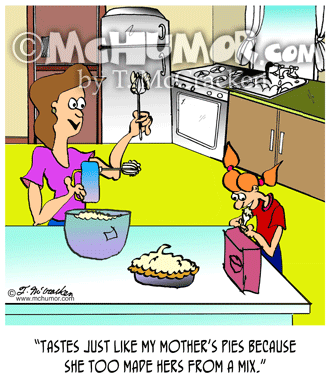 A cake is split in two. 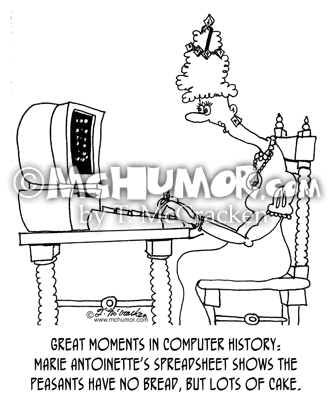 One side says "Hers" and the other "His."